Hunters Hate Dragging and Expense! While voting is still open, the current results from the “Least Favorite Part of Deer Hunting” poll shows that that top 2 least favorite aspects of Deer Hunting are: Dragging the Deer and the Expense of Hunting! I had posted the poll in 2 places. The first was here in our blog and the other was on CamoSpace. After hundreds of votes, on our poll Dragging the Deer was voted the WORST aspect of deer hunting (Expense tied for 2nd) and on the CamoSpace poll Expense came in first and Dragging came in a close 2nd. So I feel very confident to say that Dragging and the Expense of Hunting are the 2 least favorite aspects of Deer Hunting. 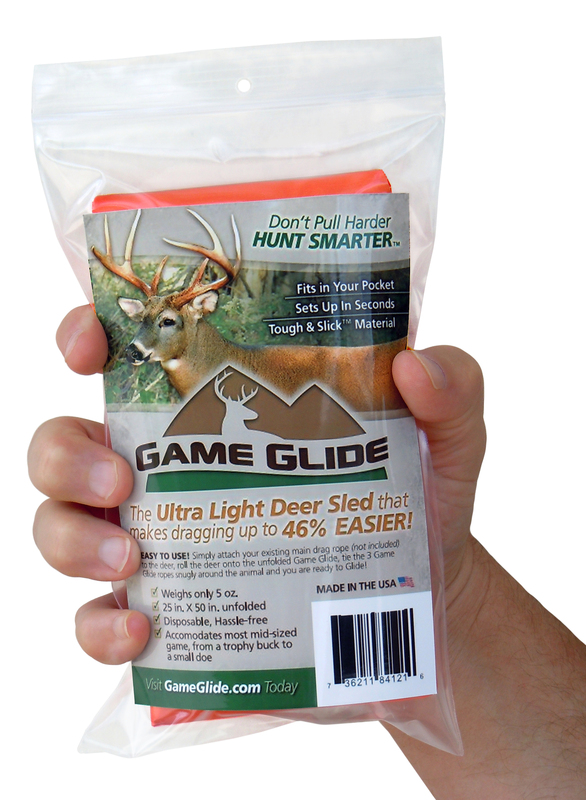 The Great News is that the Game Glide ultra light deer sled will greatly help with BOTH of these issues! The Game Glide will reduce the deer drag effort by up to 46%. Regarding the expense issue, the Game Glide is disposable and will be priced accordingly, so that everyone could easily afford it. And it will prevent the urge or need to buy an expensive ATV, Game Cart, or a heavy Reusable Deer Sled.